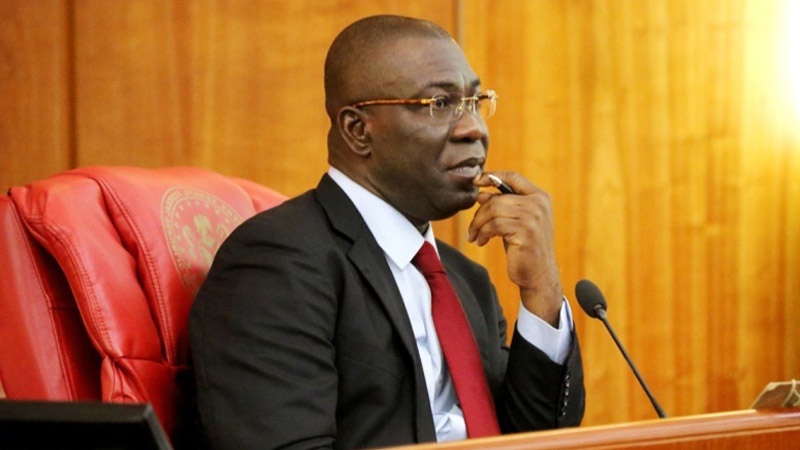 The Deputy Senate President, Ike Ekweremadu, has given assurance that the 2019 general elections would not be manipulated. He also vowed that the National Assembly caucus of the Peoples Democratic Party (PDP) would not be intimidated from holding the government accountable and would continue to speak the truth in defence of democracy. “Nobody should be deceived that they will rig election in 2019. The international community will also be watching; and like the late Sam Mbakwe said ‘if you are awake, the rat would never take your fish.’ So if we ‘shine’ our eyes, nobody will rig us out. “I’m sure some of you are now conversant with the misrepresentation of my statement on the floor of the senate last week where I cautioned against brigandage, impunity and thuggery and I said as leaders and politicians we must do the correct thing before we endanger our democracy. That is what I said. “Sometimes, we may be misunderstood, but we will remain unrelenting. It was the great Nnamdi Azikiwe, who said that the best judge of human conduct is conscience. “Keep saying the right thing. The person you are speaking to is hearing you; someday his conscience will prick him and he will do the right thing”, he said. While explaining that the PDP will not let anyone truncate the nation’s democracy, the senator warned the youth against any form of electoral violence, describing it as “an ill wind that blows no man any good. “The days of violence are gone. We have to put on our thinking cap. Do not match any person violence for violence; but match them ideas over violence. It is ideas that rule the world,” he added. He further promised that the PDP would, upon return to power in 2019, work towards job creation, providing unemployment benefits to the youth, and reduction of age qualification for all political offices to 18 years. In his words, “Who says that we cannot pay unemployment benefits to the youth if we manage our resources well? We can. Earlier in his address, the National Youth Leader of the PDP, Udeh Okoye, said Nigerian youth had suffered under the All Progressives Congress (APC)-led administration and were ready to support the PDP to return to power. The PDP youth also conferred an award on Mr. Ekweremadu for defending the nation’s democracy. Also speaking at the event, the Senate Minority Leader, Godswill Akpabio; Deputy Minority Leader, Philip Aduda; and the Deputy Minority Whip, Biodun Olujimi, said the PDP would bounce back in 2019 to rebuild the nation.